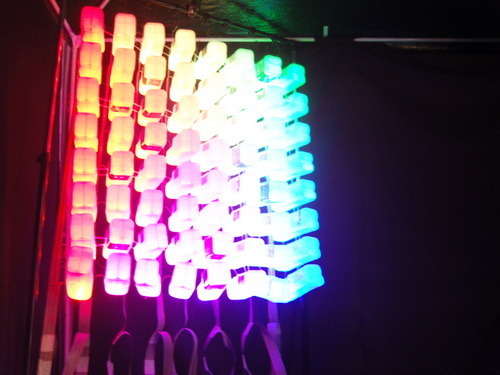 Milk Pixel is a large, interactive pixel display made out of milk bottles and multi-colour leds. The display is driven by data from a camera and microphone as well as a host of pattern generating algorithms. Please visit the Milk Pixel website for more images, video and information. Copyright © 2019 Haunted Pliers. All Rights Reserved. Gridiculous created by c.bavota.